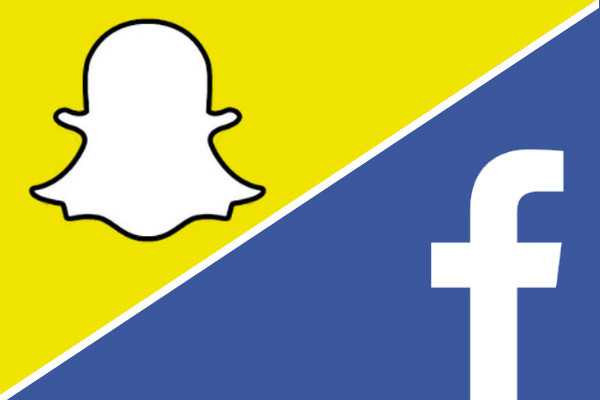 MultiBrief: Is Snapchat growing bigger than Facebook? Is Snapchat growing bigger than Facebook? Over the course of the last year, Snapchat's growth has exploded. As a quick refresher, Snapchat is a mobile app in which you send videos and pictures to friends that disappear shortly after they're sent. The photos and videos are raw, authentic and minimally edited, making it incredibly refreshing for users accustomed to Instagram's endless filters. Snapchat is now passing a new, possibly monumental growth milestone. The mobile app recently announced that its users watch 8 billion videos a day, up from 7 billion in January. In November, Facebook announced that it also reached the 8 billion daily video views. Yes, Snapchat users watch just as many videos as Facebook users. Granted, Facebook's numbers have probably grown since their last announcement more than three months ago. Regardless, as Snapchat continues to grow rapidly, will it surpass Facebook in other areas? Below check out the latest State of the Social. We're comparing Snapchat vs. Facebook. See how the two competing social networks stack up below. According to its latest numbers, Facebook has 1.55 billion active users. To put this massive number into perspective, that's a little over 20 percent of Earth's population. Snapchat, on the other hand, has 100 million daily active users as of May 2015. Of U.S. social media users, 18 percent have an account and use Snapchat. Not too shabby. Winner: With 15 times more users than Snapchat, Facebook is the clear winner in this category. Facebook hasn't hit market saturation quite yet. In their 2015 third-quarter report, Facebook's monthly user count was up over 4 percent from the previous quarter. Facebook continues to add tons of users in developing countries, a trend that will surely continue. Since Snapchat hasn't released an update of their daily users for almost a year, their recent growth is hard to pin down. But, in 2014, Snapchat was the fastest-growing social app, growing an impressive 57 percent from the beginning to the end of the year. Winner: Tie. Facebook wins the race for slow, but steady growth while Snapchat's staggering growth rates are noteworthy. Of Facebook's 1.55 billion users, there are more than 1.49 billion monthly active users. Over 96 percent of all Facebook users are logging onto the site each month. As far as daily use goes, Facebook has 1.04 billion daily active users, or 67 percent of their entire user base, as of December 2015. Snapchat has more than 100 million active daily users, though the network is only 5 years old. When Facebook was 5, it had 150 million active users. Winner: For now, Facebook wins. However, Snapchat's large and dedicated user could outpace Facebook's user growth in the coming year. According to an October 2015 survey, teens picked their favorite social network. 15 percent opted for Facebook, and 19 percent named Snapchat their most important social network. The number one preferred social network was Instagram, which luckily is owned by Facebook. As far as actual age distribution goes, the numbers differ. Below are the percentage of users in each age group on Facebook and Snapchat, respectively. Facebook has 16 percent of 18- to 24-year-olds and 22 percent of 25- to 34-year-olds. Snapchat has a whopping 45 percent of 18- to 24-year-olds and 26 percent of those 25-34. Winner: Snapchat is the clear favorite among young users.